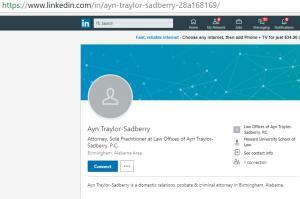 Ms. Traylor-Sadberry first outlines the facts of the case. Marthe Dubois had a turbulent extra-marital relationship in France with Felix Blondin during which two children were born, Marie-Eline and Francois. Blondin allegedly abused Dubois. After intermittently living in shelters for about nine months, Dubois took the children to the home of relatives in New York City. Blondin filed a petition in New York federal court to have the children returned to France, pursuant to the Hague Convention on the Civil Aspects of International Child Abduction [T.I.A.S. No. 11670, 1343 U.N.T.S. 89]. The Court denied the petition, holding specifically that sending the children back would place them at “grave risk” of harm. Hague Convention Article 13(b) allows such a showing to counter the Convention's presumption that abducted children should go back to their home country. The district court also found that Blondin's means were rather limited and that he could not support Dubois and the children other than in his home in France. Blondin then filed a timely appeal. The U.S. Court of Appeals for the Second Circuit vacates the judgment and remands. The Court sees this case as presenting issues of first impression under the Hague Convention. Article 1 of the Convention generally favors “the prompt return of children wrongfully removed to or retained in” any signatory state (which includes the U.S. and France). Proper application of the Convention and deference to the children’s home forum, however, demands that the lower courts consider the possibility of special arrangements for their return. “[I]t is important that a court considering an exception under Article 13(b) take into account any ameliorative measures (by the parents and by the authorities of the state having jurisdiction over the question of custody) that can reduce whatever risk might otherwise be associated with a child's repatriation. In the exercise of comity that is at the heart of the Convention …, we are required to place our trust in the courts of the home country to issue whatever orders may be necessary to safeguard children who come before it. … […] As the District Court properly recognized here, … granting Blondin's petition would not – as a legal matter — invariably entail turning the children over to his custody. In fact, other arrangements might be available that would allow the children to return to France in some other person's care, pending a long-term custody adjudication – thus reducing or eliminating the risk of harm that might otherwise be associated with granting Blondin's petition.” [Slip op. 25-26]. The Second Circuit therefore remands for the district court to reconsider whether French law provides for other options that would allow the children’s return to France without the “grave risk” of harm. Aided by the U.S. State Department, the court should make any appropriate and necessary inquiries of the French government to determine the range of remedial placement options that may be available under French law. 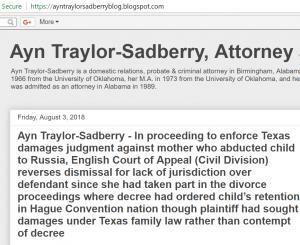 Ms. Traylor-Sadberry notes that even though the Court does not say so directly, it appears that all family members are French nationals whose contacts with the U.S. were tenuous.